Each person or family who signs up for a health insurance plan is issued a health insurance card that they must present to their doctor or hospital when care is being received. If you've recently changed health insurance companies, or haven't used your health insurance card much in the past, you may have difficulty understanding your health insurance card. Fortunately, the card is easy to understand once you know what you're looking at. When you're issued a health insurance policy, you also get a policy number and this number is properly displayed on the card. The health insurance provider attaches any medical expenditures to that policy through the number. In other words, the policy number is how the health insurance company keeps track of your medical billing. If your health insurance is provided through your employer, chances are, you'll have a group plan number. The group plan number is the number your employer is given to identify their employee health insurance policy. As an employee, you are a part of that plan. What Is an Insurance Card BIN Number? Check the back or the bottom of the card for telephone numbers or addresses, and write these down. The telephone numbers and addresses located on the back of your card are usually important phone numbers and addresses regarding your health care provider or policy. Telephone numbers and addresses may be included for filing claims, hospital or treatment pre-certification, and customer service, among other things. Call your provider and ask about your co-payments and coverage amounts if they're not on your health insurance card. Some providers, like Anthem, will often list your co-pay and provide a breakdown of your coverage on the front of the card itself. If this information is provided, the breakdown may list coverage by percentage for office visits, specialty care, urgent care and emergency room care. On some cards, there may be two percentages for each type of care. The first percentage, which is normally larger, typically stands for the amount covered in the health insurance company's network of providers. The second percentage is the amount covered outside the network. The Rx symbol represents the prescription drug benefit, if any, provided under your health insurance policy. 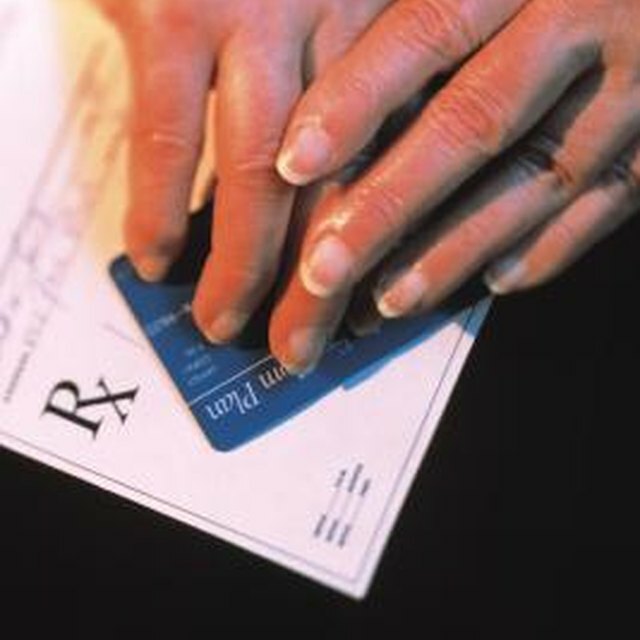 An Rx symbol may be found in a discreet corner of your card, or your card may provide a full breakdown of prescription coverage, listing prescriptions by pricing tiers, which include brand or generic prescriptions, which are usually less expensive. Not all cards that cover prescription drugs carry the Rx symbol. If you don't see one, check with your health insurance provider. Find out whether your health insurance policy covers dental and vision. Although these are often noted on the insurance card, health insurance companies do not always list dental and vision plans on your insurance card, and you could be missing out on benefits. Since health insurance cards and the information contained on them vary widely by provider, you'll want to call your insurance company using the contact number on the health insurance card if you are unsure about anything on the card. If there's a symbol or part of your policy you don't understand, a customer service representative can answer any questions you have.